Union information technology (IT) and communication minister Kapil Sibal invited more than 200 people a couple of weeks ago to discuss a revised IT Act the government is working on. Amid the general flow of ideas, I had the chance to put forth a point as well. India has about 250,000 electoral constituencies at the parliamentary, assembly and panchayat levels, I said, and more than three million elected representatives. 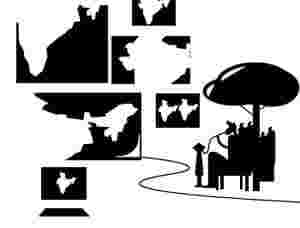 Under the Right to Information (RTI) Act, 2005, they are all supposed to provide all kinds of constituency-related information to voters. Yet, hardly anyone has an official website. I googled the minister’s name; the website he said he has does not show up on the first few search pages. There is, however, an up-to-date Wikipedia page on him, which carries a link to his website kapilsibalmp.com. I clicked on the link and came up with an error message. I similarly searched for the two junior IT and communication ministers—Sachin Pilot and Gurudas Kamat. Pilot, too, has a Wikipedia page, while his personal website, sachinpilot.com, shows it is under maintenance. Googling Kamat gave me his personal website, gurudaskamat.com, as the first link, but the site is still in 2009 election mode—appealing people to vote for him. Several other elected representatives, particularly young parliamentarians, also have websites, but they almost invariably have the dot-com extension, which is typically meant for commercial activities. I wonder why elected representatives will use such an extension. It indicates the websites are just personal initiatives, not the official websites of the constituencies or the representatives. It also shows why it is important to have a policy that obliges elected representatives to put online all official information that can be of use to their constituency members. Such websites can serve as online gateways to these constituencies, allowing representatives to showcase the work they are doing and interact with their voters without meeting them physically. Several years ago, I had said the same thing to Pilot. He agreed, but told me the member of Parliament local area development (MPLAD) fund—given to every MP for development work in their constituencies—does not have provisions for such expenditure. I offered to do it through the Digital Empowerment Foundation if he could help us get all the information. Pilot invited me to accompany him to his constituency, to collect information and witness the ground realities, so they could be reflected in the website. We built the parliamentary constituency website as an example for others. IT has changed the world over the past two decades and helped India come on a par with the developed world in a number of ways. But for the country to reap the benefits of IT optimally, it is imperative for the government to adapt to the information revolution and for elected representatives to make information easily available to people online. Experience shows this will only happen through changes in policy. Osama Manzar is director of Digital Empowerment Foundation and curator, mBillionth Award. He is also member of working group for Internet governance at the ministry of IT.